Ever thought to use a fast cooking method to produce delicious slow-cooked foods? 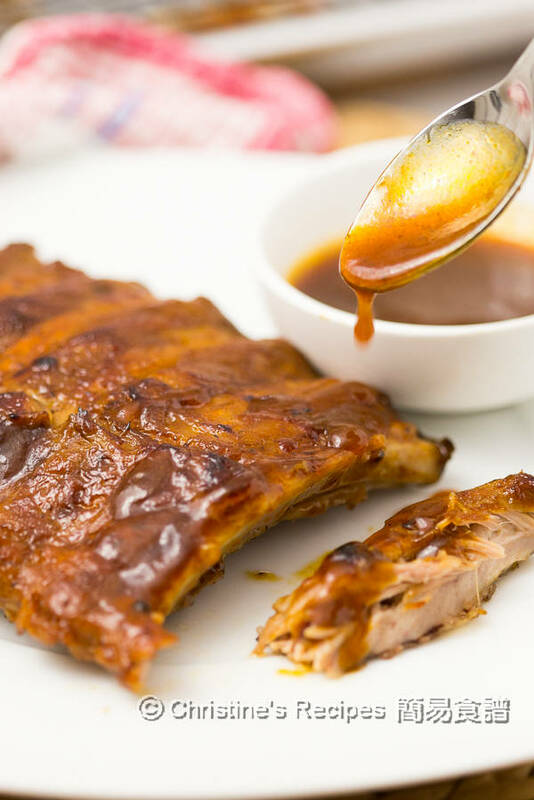 I tried to make some smoky BBQ pork ribs in my pressure cooker and added one more step to take them up a notch tasting like those made from a slow cooker. Are you intrigued to try these tasty, sticky, smoky and juicy pork ribs? The greatest benefit of using a pressure cooker is to cut down the cooking time. 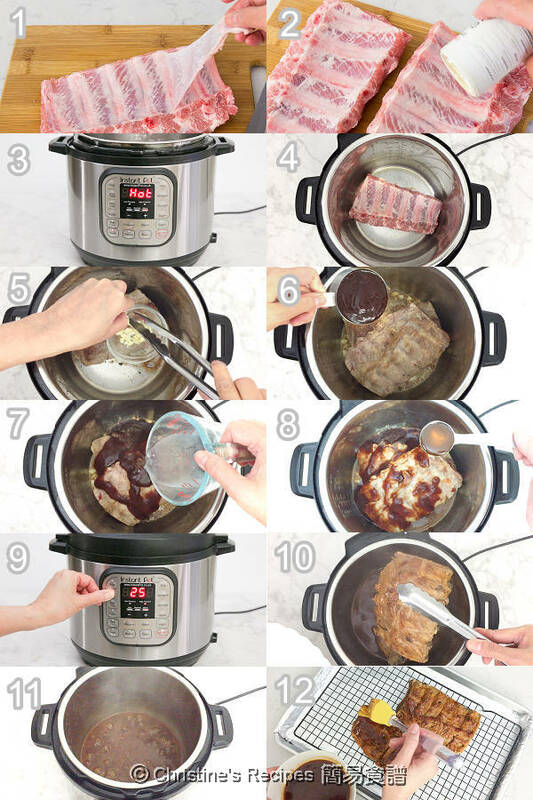 How to make pork ribs from a pressure cooker, like Instant Pot, that taste like those slow-baked from an oven? It’s easy. An Instant Pot and a broiler will do the trick. Broil the cooked and tender pork ribs in an oven for just a few minutes. The end result blew me away indeed. I could save up hours of cooking time. 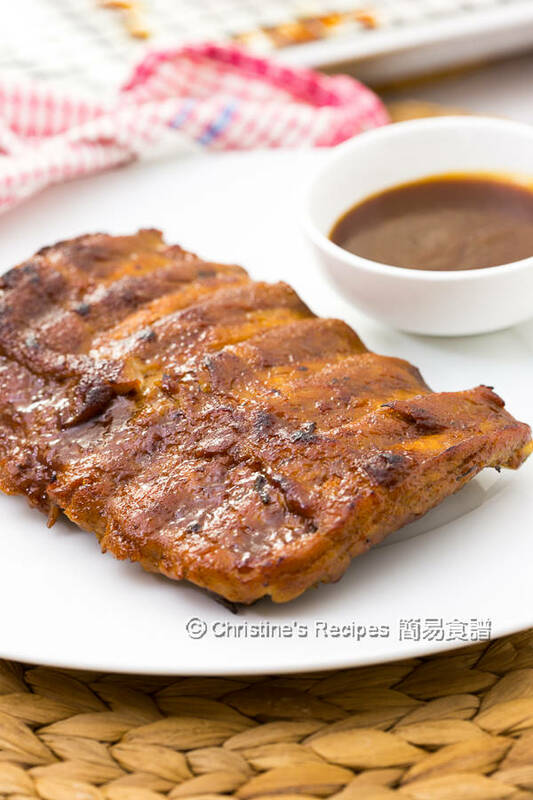 I used smoky BBQ sauce in order to increase the smoky flavours for the ribs and sauce. 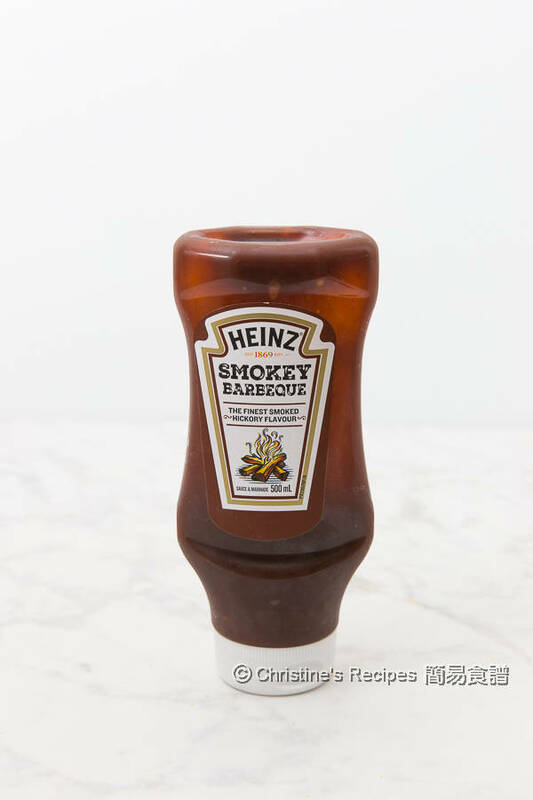 You might use any favourite BBQ sauce anyway. Do find a good one to your liking. It’s a game changer. American pork ribs work best with this recipe. 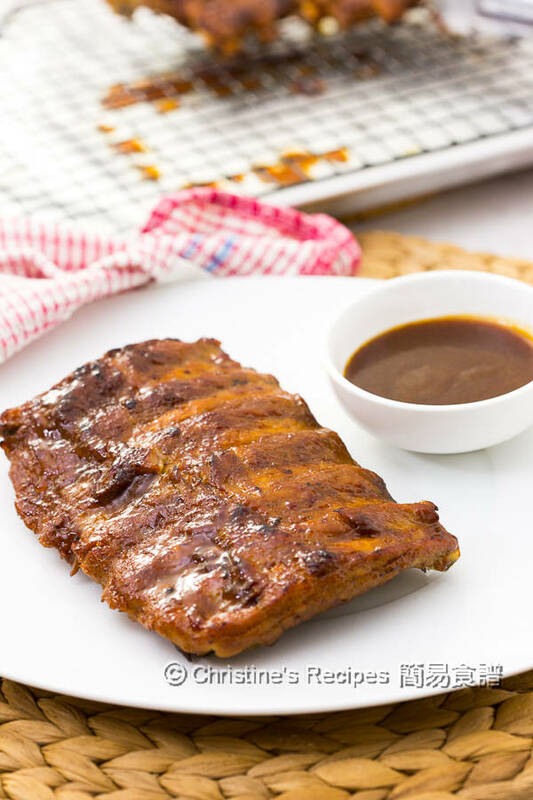 To help the ribs absorb the flavoursome smoky BBQ sauce and seasonings more quickly and evenly, you need to peel off the paper-thin membrane from the bone side of ribs. Check the video or the recipe below. You’ll find it’s very easy and straightforward to remove the membrane. Last but not least, don’t forget to add more sauce to your tender ribs when serving. The sauce is insanely delicious. The leftover can be kept in fridge for up to a week or so. You can use it to make stir-fry dishes or go with noodles or salad. Remove the membrane on the back of the spare ribs. You can use a sharp knife to slice the corner first. That makes so much easier to get started to pull the membrane up with your fingers. Check the video on this post and you’ll see it’s not that difficult. By removing the membrane, the pork meat will absorb the flavours easily and become tender quickly. Season with salt and pepper on both sides. Prepare your Instant Pot. Press “Sauté” and heat oil until the word of “Hot” displays. Brown both sides in batches as the pot is not big enough. Put back all the pork ribs. Add garlic. Sprinkle Shaoxing wine. Add smoky BBQ sauce, water and honey. Close the lid with steam release handle pointed to “Sealing”. Select “Meat”, high pressure cooking for 25 minutes. Natural release for 10 minutes. Press “Cancel”. Quick release. Remove the lid. The pork ribs are already tender at this stage. Carefully transfer the pork ribs onto a baking pan lined with wire rack. To prepare the sauce: Select “Sauté” and cook the sauce without a lid until thickened, about 8 to 10 minutes. Brush the pork ribs with the thickened sauce. Grill in preheated oven at 180C / 350F until lightly brown. It’s done. Drizzle more sauce on the ribs when served. It’s very delicious! Heat your Instant Pot hot enough, then add oil to coat the bottom evenly. When you see “Hot” code displays, pan-fry the pork ribs. They shouldn’t stick to the pot. You’ll find some brown bits stuck to the bottom of the pot. No worries. The brown bits are very delicious. You can deglaze the brown bits with the Shaoxing wine and easily get up all of them. You can quickly reduce and thicken the sauce by using “sauté” function in a few minutes. The flavours of the sauce will be intensified. After high-pressure cooking, the pork ribs are tender enough. 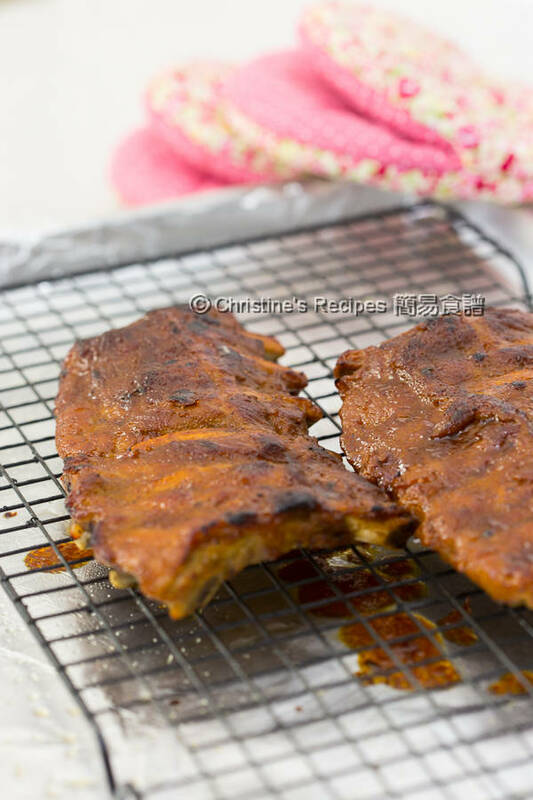 By doing one more step, broiling them in an oven with sauce on rib surface, it helps more flavours penetrate into the meat and give them a BBQ feel and look. Looks really tender and juicy...must be super yummy!